Apparatus for analysis and separation from Andreas Libavius, Alchymia..., 1606. 1. 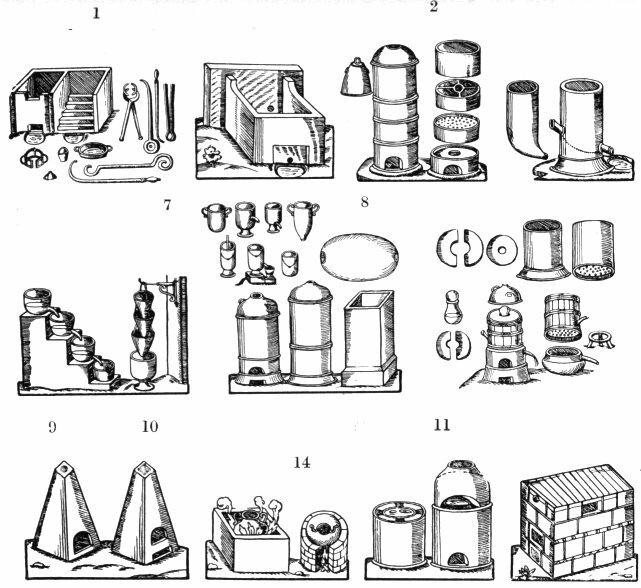 Smelting furnace with tools. 3. Solution by deliquescence (deliquium). 5. Removal of mercury from gold amalgam. 6. Destillatio per lacinias (cloth strips). 13. Muffle for dung bath. 17. Calcination of lead and mercury. 18. 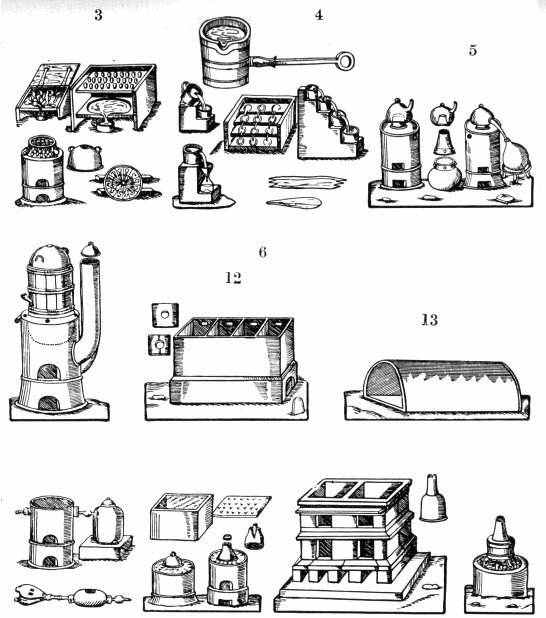 Furnace for separating gold and silver by means of nitric acid.